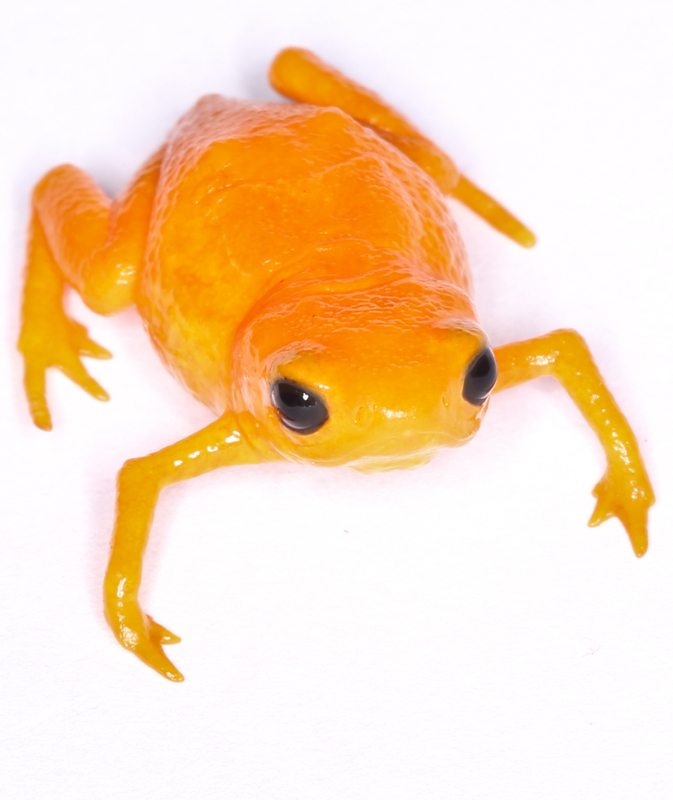 Pumpkin Toadlet, endemic to Brazil’s Atlantic forest, is highly susceptible to the hybrid Bd fungus, according to UA-led research. Photo courtesy of Dr. Gui Becker. TUSCALOOSA, Ala. — A disease-inducing fungus in amphibians worldwide could become deadlier as different genetic variations emerge, according to research led by The University of Alabama. “With globalization facilitating pathogen spread across continents, hybridization of chytrids might lead to new epidemic waves reducing amphibian biodiversity in both tropical and temperate regions,” said Dr. Gui Becker, UA assistant professor of biological sciences. Becker was a co-author on the paper, “Hybrids of amphibian chytrid show high virulence in native hosts,” which was led by Dr. Sasha Greenspan, a UA post-doctoral researcher. “The genetics of this fungus are changing, and with these changes may come new risks for frog populations,” she said. The fungus’ complex genetic history is not completely understood, but a relatively new version, on an evolutionary timescale, is known as the Global Pandemic Lineage, or Bd-GPL. What led to its emergence is unknown, but it is particularly deadly. “This is significant because it shows that hybrids of this fungus can increase disease risk,” she said. “Since it is well-established that Bd has a dynamic genome and is now nearly globally distributed, this finding highlights the importance of global surveillance to detect future genomic shifts in this disease system that could lead to new outbreaks of chytridiomycosis,” Greenspan writes in the paper. Other co-authors on the paper include Carol Lambertini, Dr. Luis Felipe Toledo and T. Carvalho from the University of Campinas in São Paulo, Brazil; Dr. Timothy James from the University of Michigan; and Dr. Célio Fernando Baptista Haddad from São Paulo State University.